Want to live freely, enjoy visa-free travel and pay low taxes? Then get a Swedish passport. That's the advice from Nomad Capitalist, a consulting firm that recently ranked passports from 199 different countries on a handful of factors that appeal to wealthy people who don't like to stay in one place. Sweden came out on top, Afghanistan was last -- and the United States didn't even crack the top 30. "Being a U.S. citizen isn't all it's cracked up to be," Nomad Capitalist founder Andrew Henderson said in a video explaining the new index, which is meant to show the "true value of citizenship." 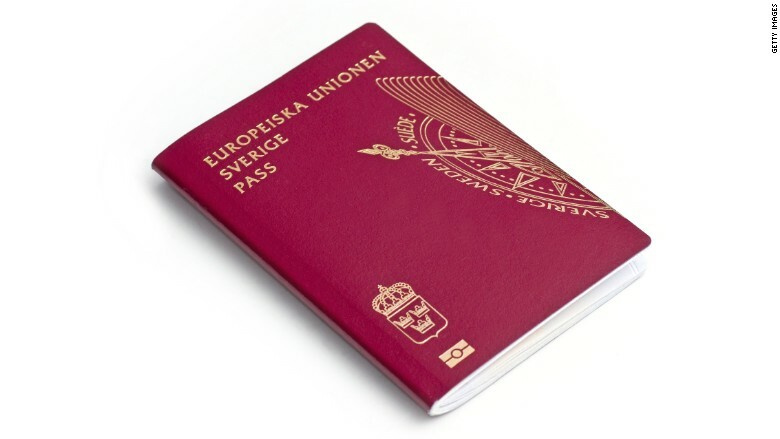 Countries' passports were judged by how much benefit they bring in terms of visa-free travel, international taxes, global reputation, the ability to hold dual or multiple citizenship, and personal freedom. Belgium, Spain, Italy and Ireland rank just below Sweden, with other European nations completing a clean sweep of the top 10. When it comes to visa-free travel and personal freedoms, "there's not much better you can do than a U.S. passport," Henderson said. But the list isn't aimed at regular, middle-class travelers. Rather, the Nomad Passport Index is a guide for the "high-achieving citizen" -- i.e. rich people -- shopping around for a second passport and the perks that come with it. Related: Why did Trump backer Peter Thiel become a New Zealand citizen? Turns out the land of the free is pretty restrictive for wealthy people who want to keep their money out of Uncle Sam's coffers. Unlike most other countries, the U.S. taxes its citizens on all income, no matter where it's earned or where they live. Americans living abroad are also subject to a lot of regulations, Henderson said. The heavy financial burden helped drive a record number of Americans to renounce their citizenship in 2016, according to Forbes. The world's perception of the United States also contributed to the U.S. passport's poor ranking -- it tied for 35th with Slovenia. The relatively low score suggests U.S. passport holders are at times refused entry or "encounter substantial hostility" while traveling abroad. Sweden doesn't come with all that baggage. 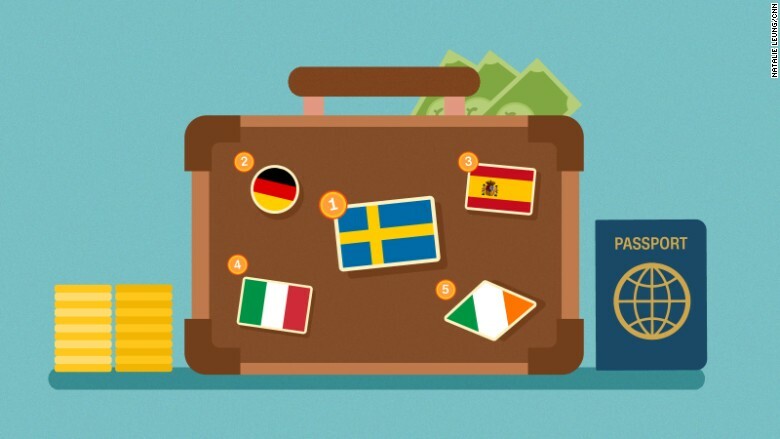 Not only can Swedes visit 176 countries without a visa, but citizens also enjoy "the ability to easily escape Swedish taxes by moving overseas," according to the index. Plus, they've got a great global reputation. "Not too many people are getting into fights with the Swedes," Henderson said.